Wow, how time flies when you’re having fun (sarcasm intended). However, I did finally get the 3rd crystal box done, but no crystals in it yet. I’m rearranging after the cleanse. I’ll show the boxes all loaded after I’m done. 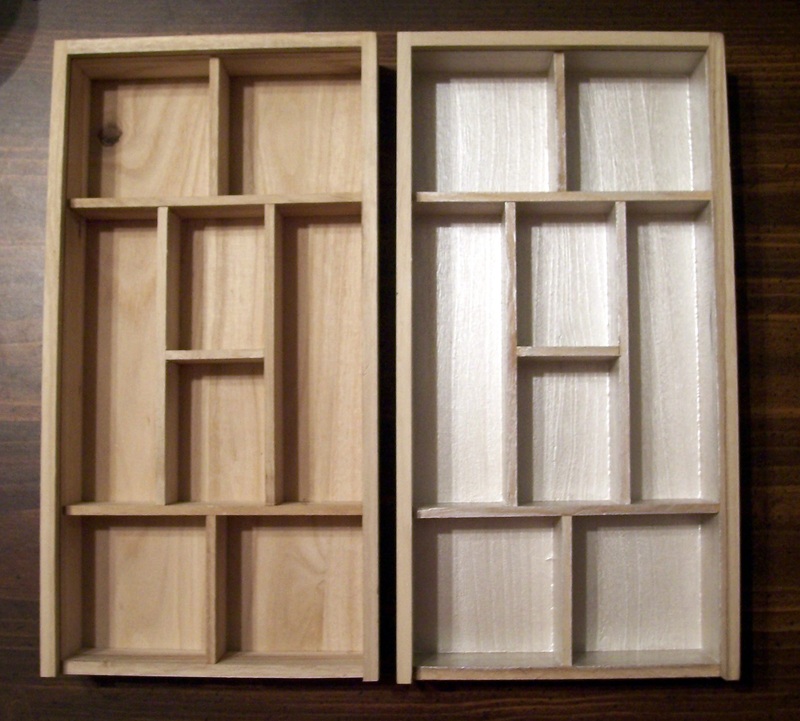 To see how I got started on the boxes go here. 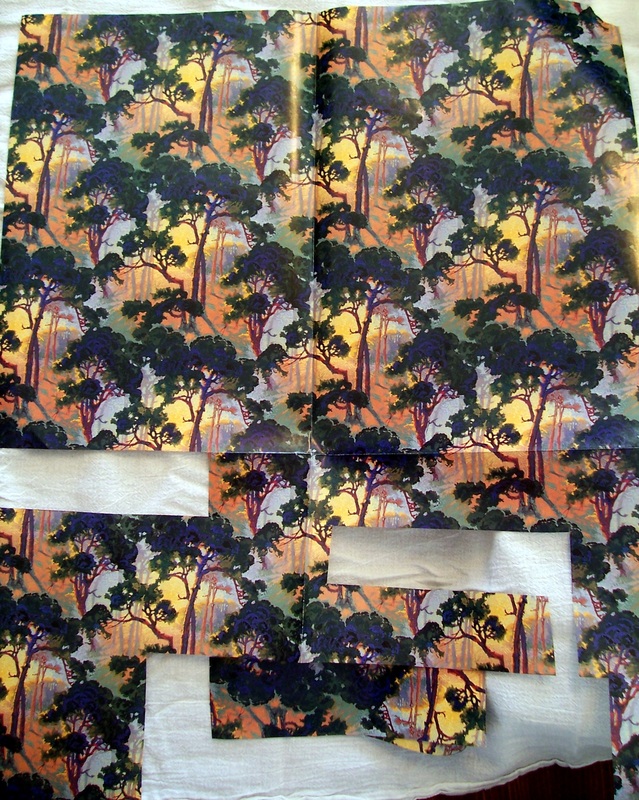 Here is the wrapping paper I started with. As I was digging through the rubble of my life, I found several ‘books’ of artist wrapping paper I didn’t even know I had. They had clearance labels on them. (?) I could easily see this on my crystal box. 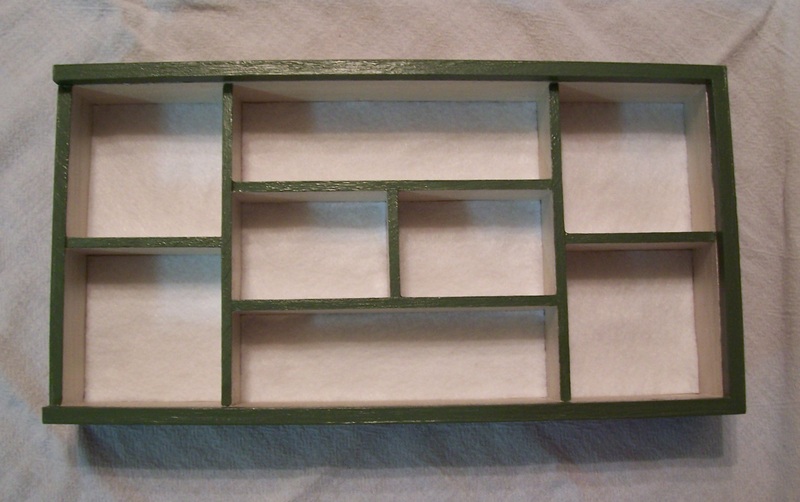 The interior of the box. 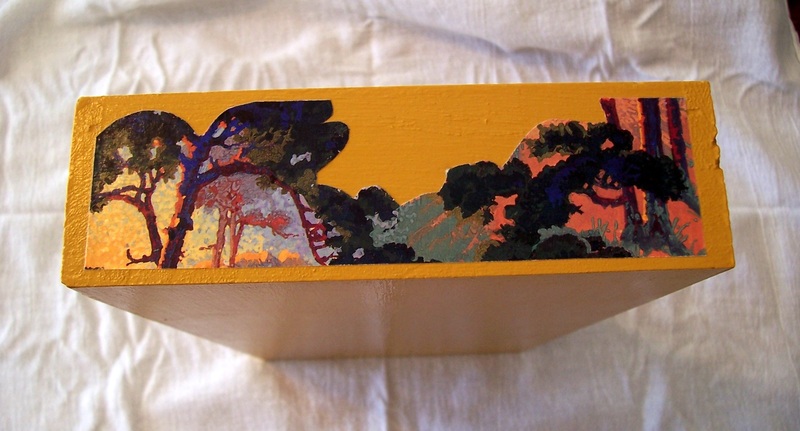 The box was painted a shade of yellow that matches the paper. The ‘back’ of the box. The other side of the box. I do love this jungle look! 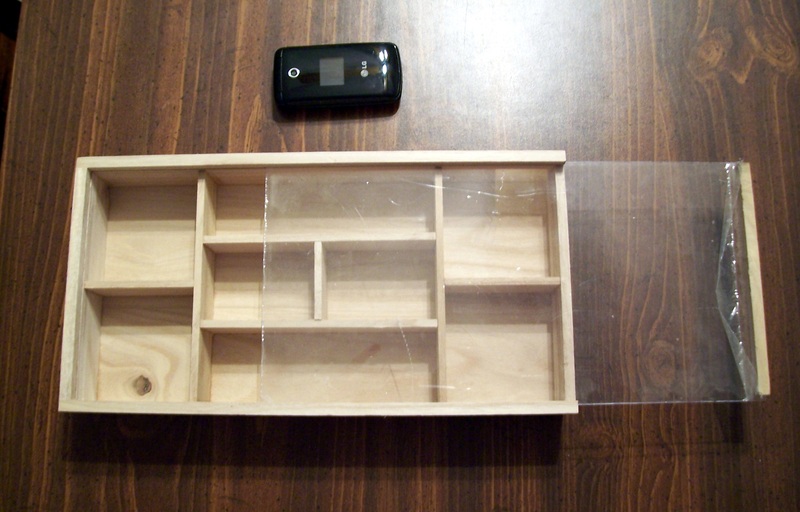 While deciding whether or not to buy more books of ‘scrapbooking’ paper at a local craft store, I spotted a partitioned tray. I love these little trays. Could own a dozen of them but they are just too expensive. But – SURPRISE – it was on sale 40% off AND I had a coupon! 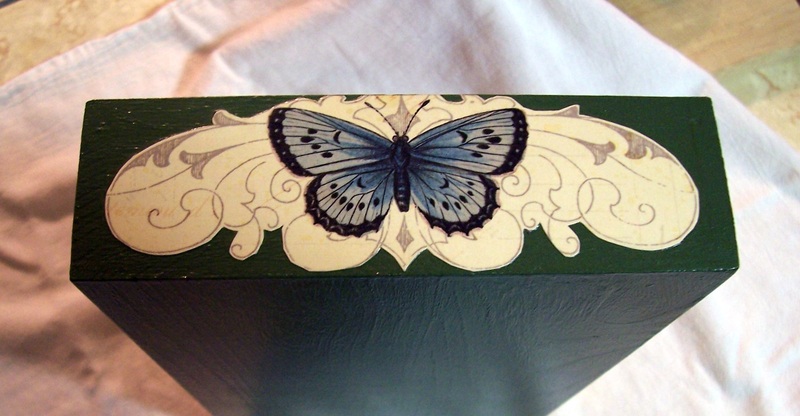 This little box would be perfect on the end table next to the couch full of crystals. But the interior is too dark for displaying crystals, and yet I did not want to paint the interior a permanent color. 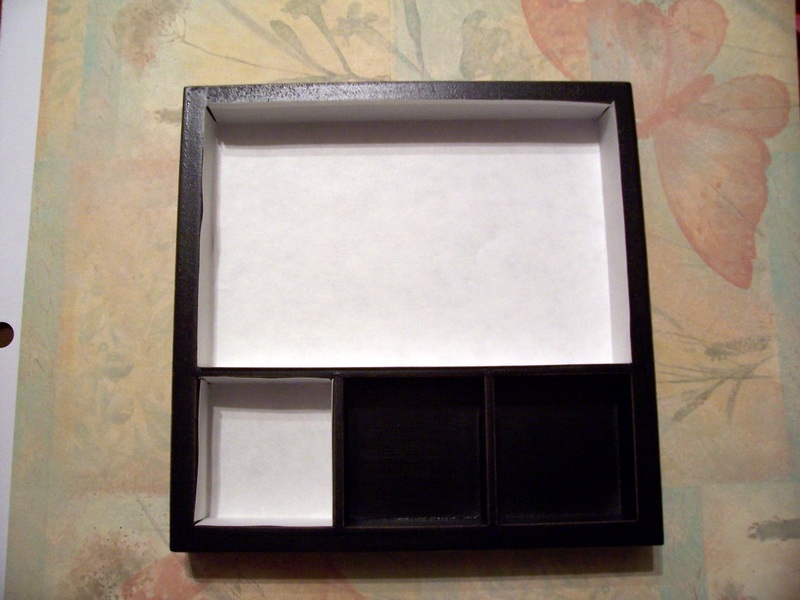 So I decided to line the box with paper, an easily changeable option. 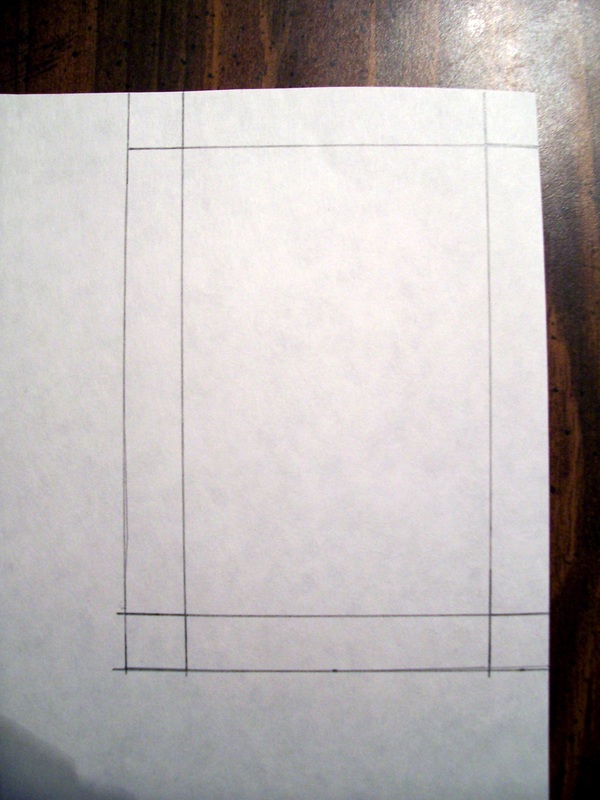 I measured and drew lines on scrap paper so I could make sure it fit properly. A little trimming to adjust for the thickness of the paper and crooked corners and we’re good to go. The paper I chose is what the box is sitting on. I did not want anything that is going to compete too loudly with the crystals. Insert ready. I chose the butterfly for the largest section. Ready to sit on my end table and hold crystals! Notice the arrangement of plants down the left side. And while the sides can be seen to be loose while they are empty, once the crystals are in there the sides will sit firm against the wood. Ta Da! 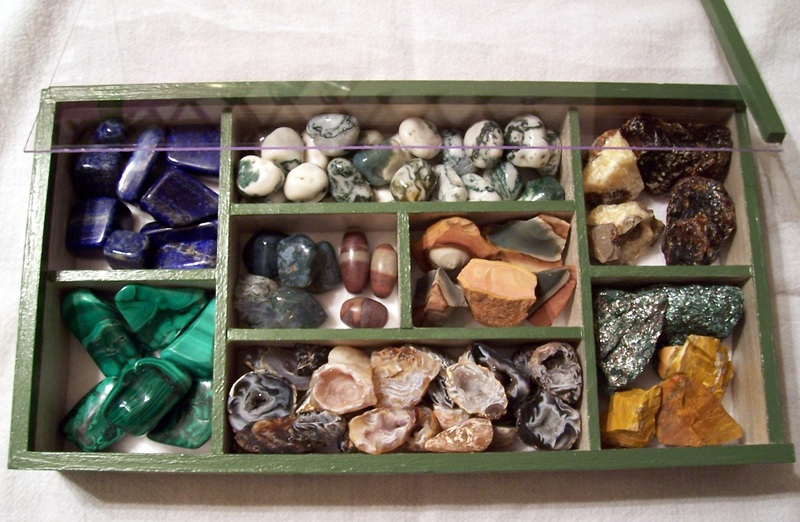 So, from the lower left corner clockwise around the outside: Rhodonite – Chrysoprase (the two lighter ones are partially tumbled) – Grey Botswana Agate – Fluorite – Rough Orange Calcite – Agate Geodes (Yeah, I’m a sucker for those little miniature worlds.). The left center square: Iron Pyrite – Bronzite – Chiastolite (cross stone) – Mookite. The right center square: Amethyst Cluster – Rough Blue Kyanite. 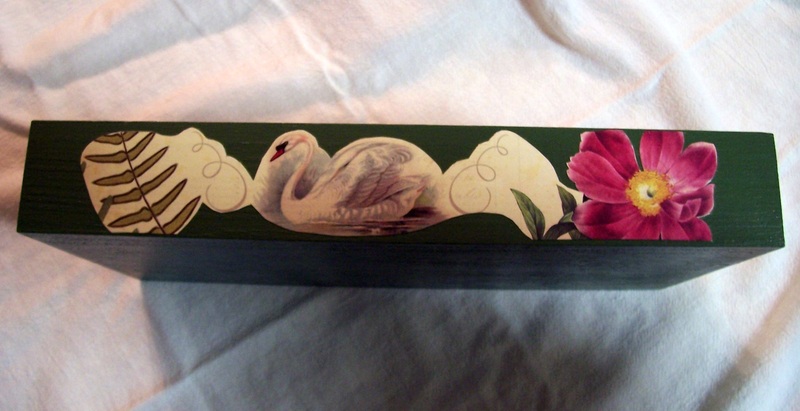 I love this egg paper but didn’t want to have rectangles of eggs lining the sides of the box. I’m not overly fond of rows of straight lines. 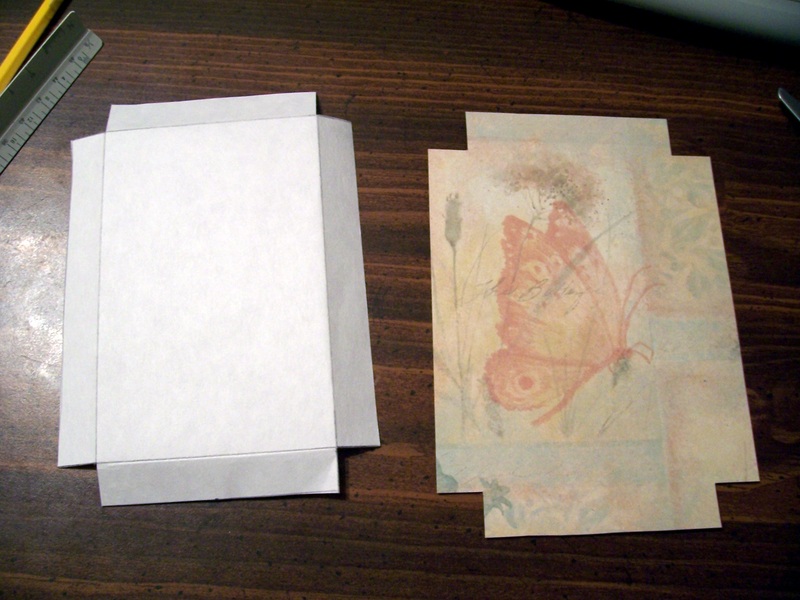 Also the paper isn’t quite long enough to cover the sides without patching. Which I didn’t want to do either. 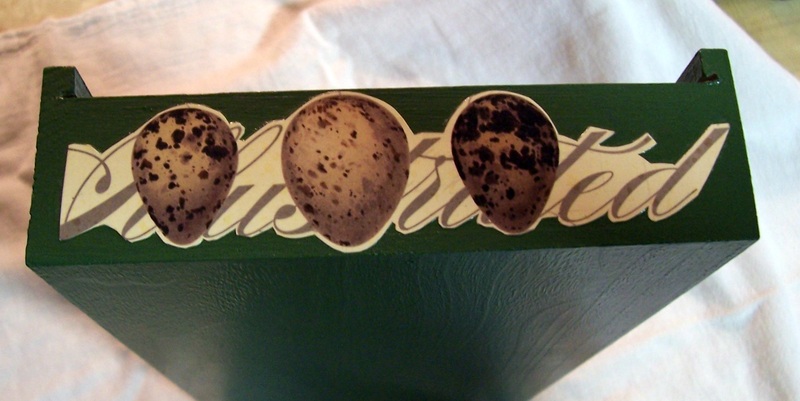 So I matched the paint to the writing on the paper and cut different layouts of eggs for all four sides. Ta Da! One more long box to go and then on to the square ones! 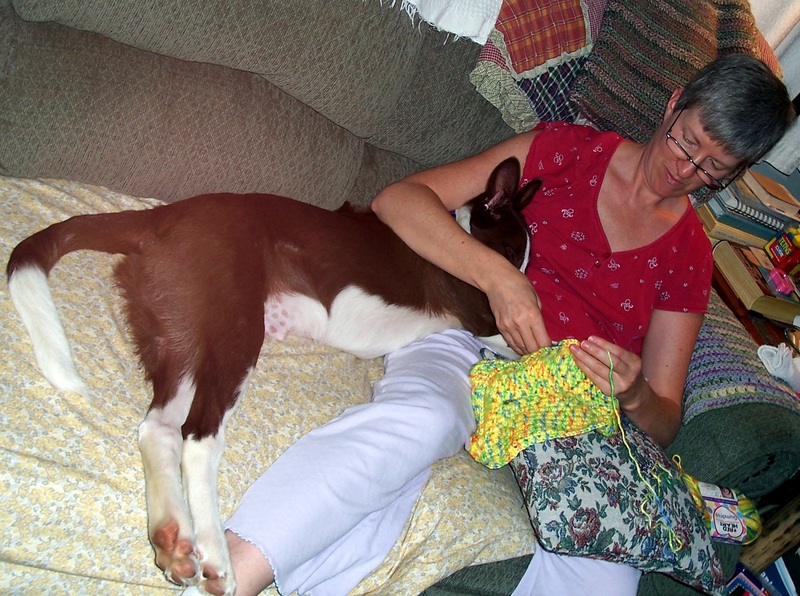 Hope you’re enjoying my crafty fun! I have many, many crystals. Like over 150. BUT – only around 50 different kinds. I have been buying in bulk fairly cheap. The idea was to sell the extras to get my money back. Weellll, I haven’t gotten that far yet. 🙂 Even after I do get rid of a bunch of them, I will need some way to store them so that I can still enjoy them. 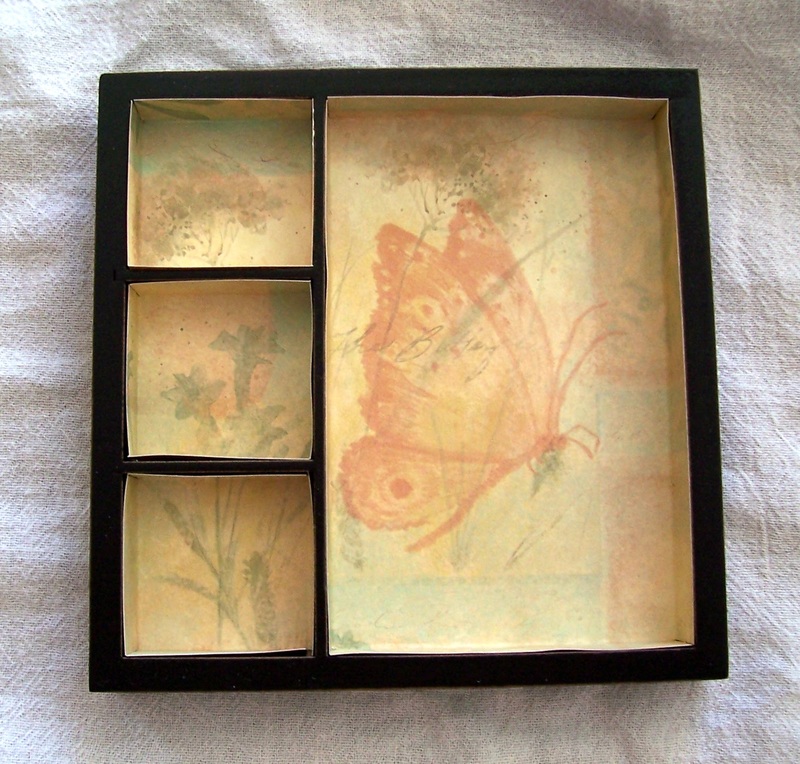 Enter small shadow boxes. 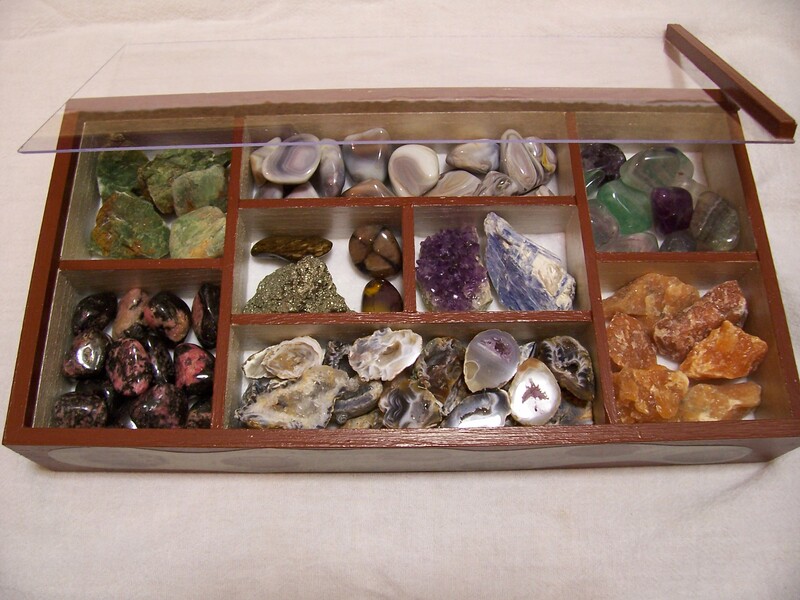 The crystals will still be visible, but dust free and cat safe. Though my cats are pretty good about leaving stuff on my end table alone, anywhere else is fair game. And I want to set these out so others can enjoy them as well. Right now they are stored in boxes and plastic tubs and I have to go digging when I want something that isn’t out already. That’s kinda pointless, right? They are there to be used and enjoyed. Not tucked out of sight. 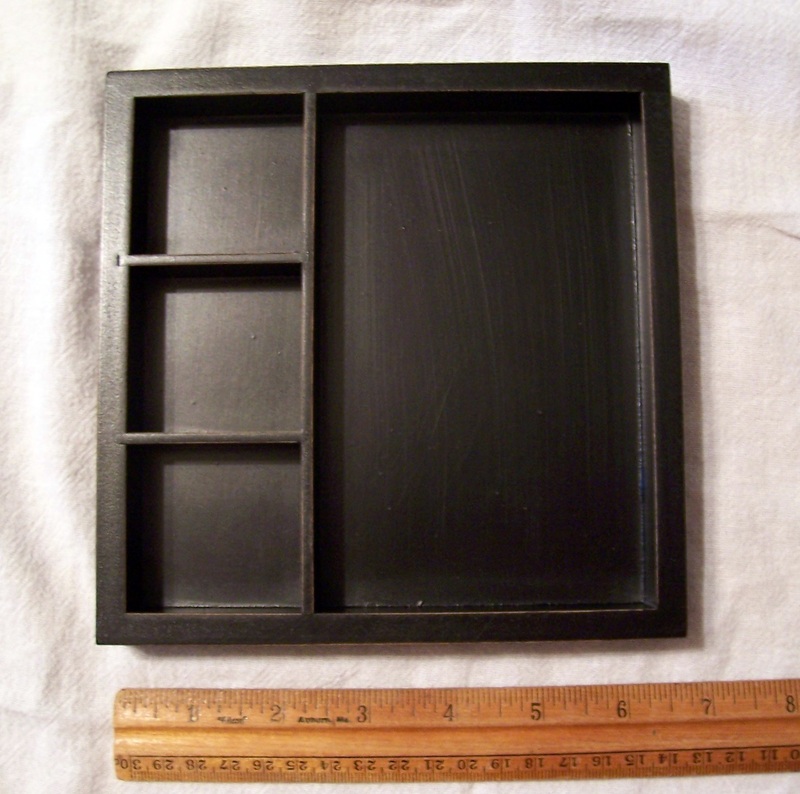 Plain shadow box for $5. I decided to paint the inside with pearlized white paint. This box decided to be green. 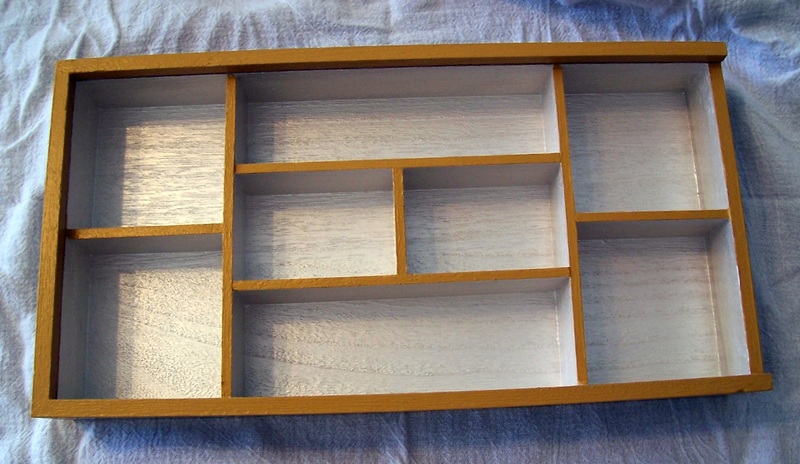 I lined the bottom of the sections with white felt to reduce the knocking around sounds. I decorated with papers. 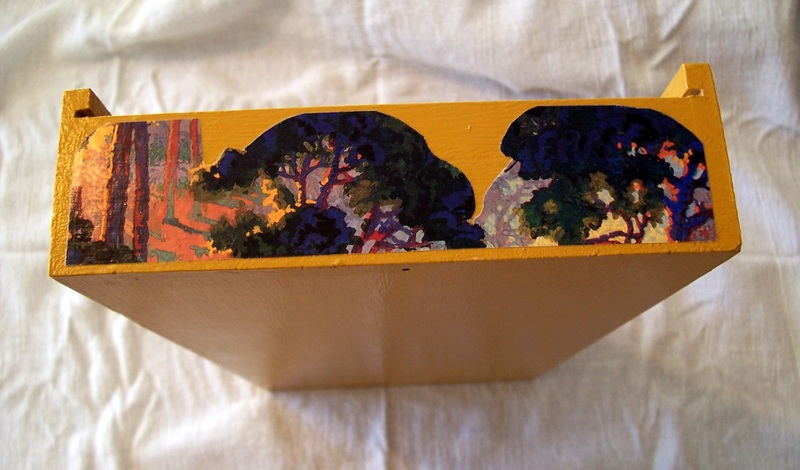 After gluing the papers on I covered the outside of the box with two coats of varnish.